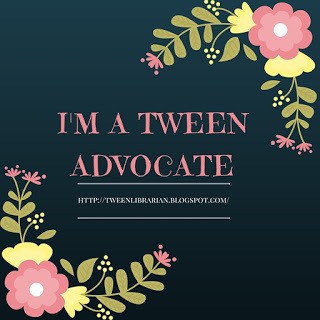 Tween Tuesday is a weekly meme hosted at GreenBeanTeenQueen to highlight great reads for tweens! Join the fun and add your link below! About the Book: Mattie and her mom have moved too many times for Mattie's liking. Mattie hoping that this time moving in with Uncle Potluck will last-no more being the new girl. Mattie has a week until school starts which means one week to convince Uncle Potluck to take her on as a custodial apprentice. If Mattie writes everything down in her notebook and can convince Uncle Potluck he needs her, she can work with him at recess-away from the other fifth-graders. But what will happen when Mattie's custodial wisdom doesn't work the way she plans? GreenBeanTeenQueen Says: I've been a big fan of Linda Urban's since reading her debut, A Crooked Kind of Perfect. It's one of my go-to tween novels, so I was thrilled when I saw she had a new book out! Once again, Linda Urban shows that she is a master of middle grade. Mattie is painfully shy. So much so that she gets nervous thinking about talking to other kids and introducing herself and doesn't want to spend recess with her peers. Because of her shyness, Mattie is hesitant to make a new friend in Quincy. She fears that Quincy is older and will find her babyish and she imagines that Quincy is avoiding her because she doesn't like her. It's hard for her to make friends, but part of the novel is about opening yourself up and learning to break through being shy. That's not to say that Mattie becomes miss outgoing by the end-her journey is a quiet journey, much like Mattie herself. A small step in friendship is a huge step for Mattie and you can't help but cheer her on. Mattie is also a writer and she struggles with writing after a girl from her previous school makes fun of her stories. She worries about her writing and worries what others will think. She really wants to write but she's afraid to after getting teased. Mattie is a sensitive girl and she carries the weight of the world on her shoulders. I was very much like Mattie when I was younger. I was very sensitive and shy. There were times I even had to psych myself up to talk to someone. I could very much relate to Mattie and Ms. Urban got it spot on! This was a book that I wish I could hand over to my tween-self and say "it's OK, I know it's hard but you can do it." Tweens who feel the same way will relate and understand Mattie's shyness. Readers who might not be shy will still understand why Mattie is the way she is-Ms. Urban gives us enough depth to Mattie to really understand her and get to know her. The supporting cast is great. Uncle Potluck is hilarious and he tells some wild stories you can't help but wish might be true. Quincy has her own secrets and makes a great counterpart to Mattie. There's not a lot of action in this book. Instead it's a quiet, character-driven story. Much of the story is left to the reader to infer (some of Mattie's story, Quincy's backstory, and details about Uncle Potluck and the Principal) but I don't think there's anything that readers wouldn't catch onto. 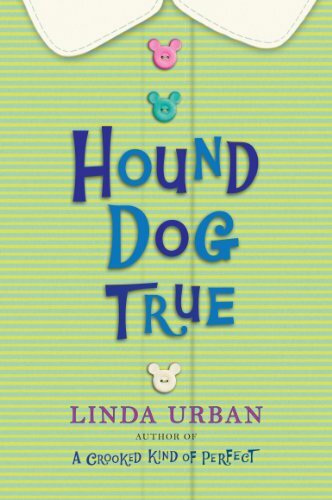 A sweet story about friendship, family, and shyness, Hound Dog True is a book I'm adding to my "must have" tween collection. I loved A Crooked Kind of Perfect as well. This one looks great! I didn't know this one, but it sounds fantastic! Thanks so much for reviewing it and bringing it to my attention.